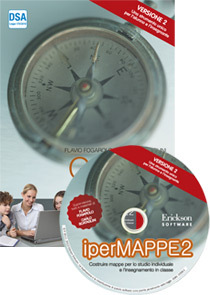 hypermaps 2 is a powerful system of graphic representation and digital visualization of knowledge, through the building of multimedia maps, generated starting from digital content, digital books PDF or RTF documents. With hypermaps 2 map becomes a dynamic and interactive tool in which you build and organize your knowledge. Building a map is quick and easy: while studying, students can independently create their own diagrams, starting from digital books and using PDF learning environment. hypermaps 2 is also a tool for building multimedia lessons and to experience inclusive and collaborative learning in the classroom through the use of IWB. automatically create a map by importing a structured text from an RTF or TXT file. contains the PDF STUDY ENVIRONMENT(the same as the one existing in ALFaREADER) to work and study on digital book s(PDF). With these texts, the building of the maps will be even faster.